Unsafe water and lack of basic sanitation cause 80% of all sickness and disease, and kill more people every year than all forms of violence, including war. Many communities in developing nations often have a plentiful supply of clean drinking water just below the ground, but no way to get to it. This is where charity: water and their partner organizations come in. Drilling a well can cost from $4,000 – $12,000 USD and many living on less than $1 a day cannot afford one in their community, even if the money is combined. Attend the event in your own city or town. 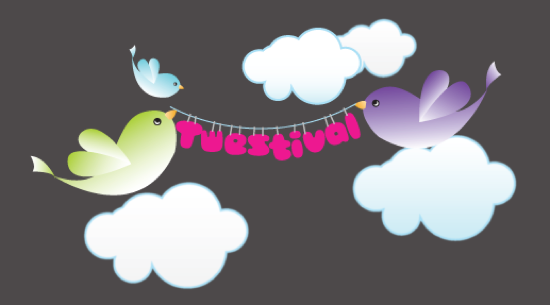 If there isn’t one happening, plan a local get together Twestival with your friends! Tweet. Meet. Give! Personally, I’m hoping this is the start to more Twestivals to raise money for a variety of causes. I’ll be at the Twestival in San Francisco. NOTE: the venue has changed to Paradise Lounge 1501 Folsom Street, San Francisco. Hope to see you there! UPDATE: They’ll be broadcasting video and aggregating photos and such from around the world on Feb 12 at this site.